Quality Medical (QMed) Knowledge Foundation - a Registered Trust - works in a niche area of medical education and research: "Searching medical literature, and reference management"
As a health science student or professional, you always need to stay updated with the latest research and research syntheses and apply it for patient care. Your basic medical education provides the fundamental background knowledge but does not teach you to search medical information in a systematic manner. QMed has for a brief period delivered lectures for health consumers, where they were taught about reliable resources and how to search them. We have deferred this activity for want of sustainable methods to carry this out, but are open to delivering lectures on request. So, what we teach, is not Just Literature Searching (aka Googling) , but Literature Searching with a scientific approach. Quality Medical (QMed) Knowledge Foundation is a Public Trust registered with the Charity Commissioner, as of Dec 19, 2007. 80G certificate. (As per later amendments, the certificate now is valid without any date limit). 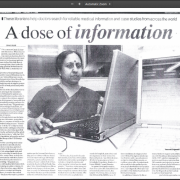 Ms Vasumathi Sriganesh in her career as a medical librarian and consultant since 1992, realized that medical students and doctors were not trained in searching medical literature and using medical information resources. ‘Quality Medical Knowledge Foundation’ (QMed) was set up in 2007, to address this lacuna in the field of medical literature searching. In December 2007, the Not for Profit trust was set up to promote awareness of the importance of learning to search literature correctly. We also felt the need for engaging in advocacy with the concerned bodies to include it in the medical curriculum. We have been conducting training programs and lectures on literature searching across the country. The assessment and feedback that we collected through these programs showed that there was a deep lacuna in this area of medical education and a need to introduce such training in the medical curriculum. We trained medical students and professionals all over India. In addition to Mumbai, we covered Ahmedabad, Bangalore, Bhopal, Delhi, Kolkata, and Thiruvananthapuram. 2010-2011: This year we have trained more than 1500 people. This year we reached more locations - Ahmedabad, Ambala, Bangalore, Calicut, Chandigarh, Chennai, Dehra Dun, Hyderabad, Kanpur, Nagpur, Patna & Pune. 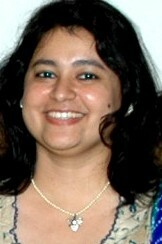 In the third year, our CEO was selected as an investee of UnLtd India (www.unltdindia.org). This support helped us interact and brainstorm with several experts, and helped us review our work and explore. What change is it making in the medical education system? How will it create a social impact? We worked on these questions and changed our strategy – To become change makers, capacity builders and a resource base for those in the medical education sector. Since April 2011, we have been engaging in a capacity building exercise in medical colleges, teaching hospitals and research institutions. Our long term dream is to ensure trained trainers in every institution. We did a first International poster presentation at the Annual Cochrane Colloquium in Madrid, Spain. This year was very special for QMed, as we completed five years in December 2012. The five years have been a period of steady growth and achievements. In five years, we have delivered more than 100 lectures and conducted almost that many workshops, to an audience of more than 8000 health professionals and students, we feel poised to reach out to a much larger target. We got a funding of Rs.77060 for our workshops from the Society for Medical Learning Resources Transfer (SMLRT), Chennai. We got ourselves listed on GlobalGiving – a fund raising portal in the US [www.globalgiving.org/14455] and in the UK [www.globalgiving.co.uk/14455] and raised $9262 between September 2013 and March 2014. Our CEO received The International Clinical Librarians Conference – “Evidence into Practice” Award. This was instituted this year, and she was the first recipient. This year, our significant achievement was delivering 67 lectures all over the country, our highest number so far. We also participated in the Cochrane Colloquium in Hyderabad, where we were identified as an Indian organization to raise funds for! Our CEO was also invited to participate as faculty in MECOR – a weeklong workshop organized by a group from the American Thoracic Society, in India (and other developing countries). Between 2016-2017, QMed completed a unique set of workshops. We collected funds from the public to help a 100 PG students with the “Literature Searching and Reference Management” component of their theses. We conducted workshops where we taught the use of PubMed for literature search and Mendeley for reference management. As of November 2018, we have finally covered a 100 PG students and are proud to announce that this program stands finished. Thank you for helping us in completing such a massive project! In 2018, we forged into the domain of E-Learning with the launch of our first ELearning course -“Mastering PubMed: Basics” in association with Mediknit (an initiative that educates medical professionals via ELearning courses). During the year, apart from around 30-40 individuals who subscribed to the course, we also had the AMASI (Association of Minimal Access Surgeons of India) subscribing to the course for all its 10000 members! Our plans this year are to add new courses on our ELearning platform and to reach out to many individuals and institutions across India. Health care services to society will be based on the effective utilization of the best available current evidence from systematic research. To enable health professionals, institutions, patients and health consumers working in the health care sector, to obtain the best evidence from systematic research, in order to ensure accurate delivery and availability of optimal health care services. Dr. Bhavin Jankharia is a Radiologist who is Partner & consultant at "Picture This". He was earlier President of Radiology Services at SRL Diagnostics and was Partner and consultant Radiologist at Jankharia Imaging. He runs a non-profit organization - Radiology Education Foundation (REF). He has served as the editor of the Indian Journal of Radiology and Imaging, and as President of the Indian Radiology and Imaging Association. A Fellow member of the Institute of Chartered Accountants of India. Sriganesh has over 38 years of experience in the IT industry and NBFC sector having set up several Companies in India. Between 1986 and 2000 he worked in senior financial positions in Citigroup India. He is a co-founder and Treasurer of NASSCOM- the Indian IT industry’s Business Association. 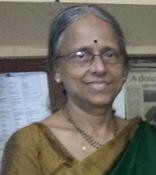 A librarian who has worked in the healthcare sector since 1992 - was the Chief librarian at the Hinduja Hospital and the consumer health library - HELP. She has undergone special training in searching the literature for "Evidence Based Medicine". In 2013, she won the 'International Clinical Librarians Conference Evidence into Practice Award' established in the same year, to honour a practising librarian or informationist who has made outstanding contributions to bringing evidence into practice in the field of healthcare. She is also a recognized faculty of the Maharashtra University of Health Sciences, for Research Methodology workshops. 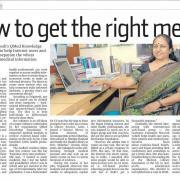 Vasu Ma'am as she is fondly called combines her love for medicine, library science, teaching and technology with a radiant smile constantly innovating and improvising in making medical literature searching simple and easy. Fatima joined us in August 2014. She has a Masters Degree in Library & Information Sciences. She had worked for QMed earlier too and then worked for a library software company and in media libraries, gaining strong IT and web skills. She is applying her skills to maximize automation in QMed, working on our E-Learning courses, and is also seeing how our Directory of Indian Medical Sites can be strengthened. In just over a month of joining QMed, Fatima’s mind forged ahead to plan for maximizing the impact of our websites. A "technology sponge", she is a librarian who soaks in technology, and her face breaks into a smile if she needs to do any kind of technology R&D! Has been with the Foundation since its inception and currently handles the complete website and document delivery portfolio. She also assists with training when required. Systematic, meticulous with an eye for detail. Her service to the foundation is on a honorary basis. Has been with QMed since inception and handles Accounts and Administration activities. Behind the scenes yet invaluable contributions. Rajendra has been with QMed since its inception. He mainly assists in administrative activities, but is also a self taught computer operator and has done a fair amount of data entry for QMed's projects. Overall ready to help in any aspect of QMed's work, Rajendra is a sincere and willing employee. Everyone whose services are on an honorary basis work for QMed Services Pvt Ltd which does document delivery activities for the Industry. All of them contribute deeply to the Foundation’s work and the income they generate from document delivery activities helps us to keep our fires burning! Dr Anand Shandilya – Served as a Trustee since inception in Dec 2007, till end Dec 2018. Sadly we lost Dr Anand on 1st Jan 2019 - he suffered a cardiac arrest. . Dr Anand was an established Pediatrician and Neonatologist and importantly an excellent teacher and human being. He was very active in the Indian Academy of Pediatrics. We will always miss his lively, cheerful presence. Girish Kunkur (MLIS) - had worked with the British Council till 2007, when he joined us. He was part of our family till July 2010. He has the credit of helping us with all our setup activities and laid a very strong foundation for our workshops. Lakshmi Padmanabhan (BMM, MSW) - Lakshmi joined us in 2013, and was with us till 2016. Having had two years of E-learning experience, she laid the foundation for our ELearning activities and was a core trainer for a lot of our workshops. 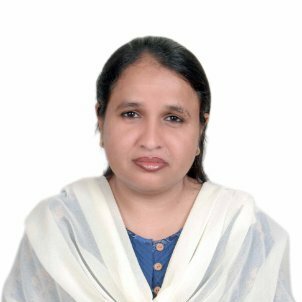 Parvati Iyer (MLIS) - had worked with our Private Limited company since 2005 and served the Foundation in an Honorary capacity till she chose to retire in March 2019. A quiet and most dependable person, she was an excellent teacher and guide. We wish her a happy retired life, full of good health! QMed offers deserving library science graduates an opportunity of a one year work experience. In the last three years, three freshly qualified librarians have worked with us, learning from us, gaining experience and contributing to us. We appreciate their inputs! Vasumathi Sriganesh mentors around 25 participants of MECOR January 2019. MECOR is an annual event conducted by a section of the American Thoracic Society, to strengthen research skills in India. 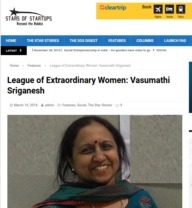 Vasumathi Sriganesh has participated in this for years. This year, participants were made to view her recorded lectures before the event, and then work on search strategies for their topics and get mentored to improve them. The experiment was pretty successful! We now have over 30 individuals enrolled, and importantly the Association of Minimal Access Surgeons (AMASI) has also come on board! They have taken access for their 10000 plus members. We are now part of a selective cohort participating in their Social Impact Academy, which focuses on teaching us how to plan and measure the long term impact of what we do. We have embarked on a major self-learning activity through this forum, and wish to work on the Social Impact of QMed with full gusto. Our standing in GlobalGiving has also improved by leaps and bounds. Our project rank has shot up (currently 315/4424) where earlier we were in a 1000+ ranking We have taken part in a campaign that taught us new ways to approach people for funding. We will be doing our first workshop in collaboration with the Campbell Collaboration & Chitkara University, Chandigarh. This is a workshop on "Searching for Studies for doing a Campbell Systematic Review". 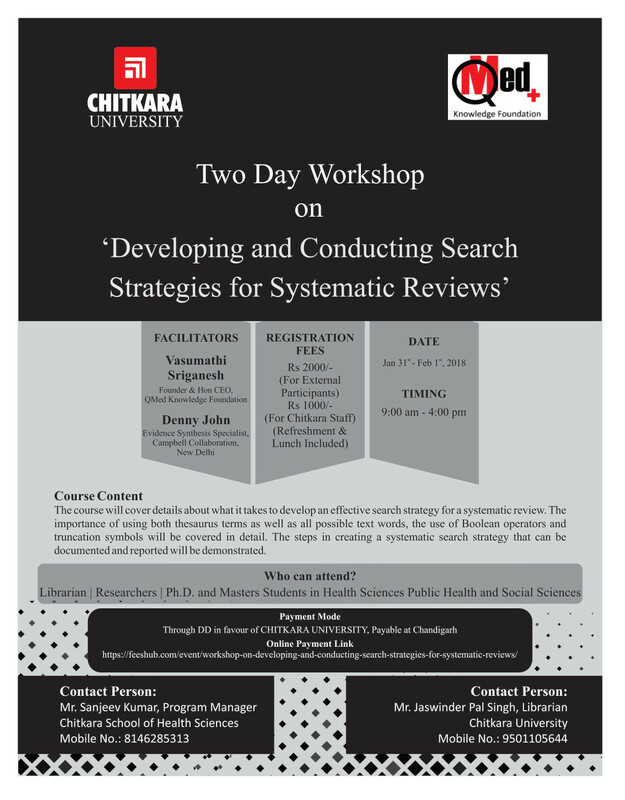 The course will cover details about what it takes to develop an effective search strategy for a systematic review. The importance of using both thesaurus terms as well as all possible text words, the use of Boolean operators and truncation symbols will be covered in detail. The steps in creating a systematic search strategy that can be documented and reported will be demonstrated. For brochure click here. The 22nd Cochrane Colloquium in Hyderabad, India raises funds for QMed! View our stall presentation! Vasumathi Sriganesh receives the International Clinical Librarian Conference - Evidence to Practice Award - May 2013. Read our blog post for more information. December 2018 - Twenty five people have successfully completed our ELearning course - "Mastering PubMed - Basics"
October 2018 - We got the first Institutional subscriber (AMASI) for our ELearning Course - Mastering PubMed. July 2017 - We conducted our 200th Workshop. This was part of our "100PGs program"
We strongly believe in maintaining transparency in our functioning as an organisation. In keeping with this principle, we have answered questions that we are asked frequently. If you have further queries, do get in touch with us; we will be happy to respond. Q. (Addressed often to Vasumathi Sriganesh)- You started QMed Knowledge Foundation. Do you own it? A: No. QMed is a Registered Trust. We are registered with the Charity Commissioner, Mumbai. VS was the person who conceptualized the idea of setting up this Trust to achieve changes in the medical education and research domain in India. So none of us who works for QMed owns it. Q. So if QMed is a Not for profit Charitable Trust, then why do you charge for various activities? A: For any organization to run and carry out activities, there is a need for money. So while we charge, or ask for donations, the money is used for projects, administration costs and salaries. At the end of an year, if there is a surplus, (we have not reached that stage yet), it will not be shared by Trustees or Employees, but will be used towards any of the Foundation’s objectives. Q. Where does QMed receive funds from?/ How are activities of QMed funded? A: Since our establishment as a Trust, we have been sustaining on revenues generated by our own activities, for which we charge a small amount. But this does not cover the real expenses. We are able to manage for now, because we have a dedicated team that takes home a small salary as against competitive market salaries. Our office premises is owned by one of our trustees, who has been kind in letting us use it as our office space without any rental charges. Our trustee also provides a vehicle for commuting when required. These are huge cost savings, that allows us to focus our limited revenue on our activities. In the last few months, (as of March 2013), we have received small grants from the SMLRT – Society for Medical Learning Resources Transfer – a body of doctors based in Chennai. We are hoping they will continue to fund us for some time to come. 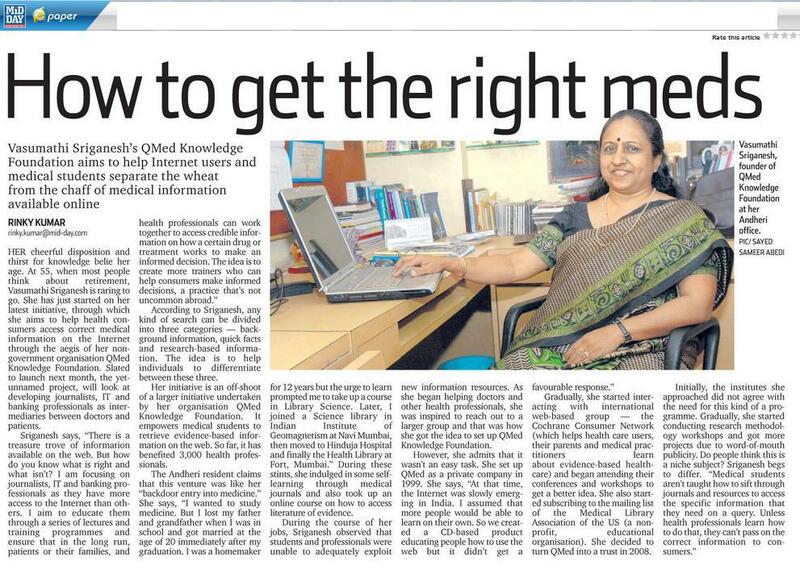 Note: Our Founder, Vasumathi Sriganesh had first started QMed as a Pvt Ltd company (more about this below). We continue to do one activity (full text article delivery) under that entity, and we get some revenues through that. Q. Why is there a need for an NGO like QMed? Can libraries not do the work you are doing? A. Ideally, medical libraries can and should take on the work that we engage in, especially literature searching and training students in the use of online information resources. In fact, that is our long term vision. However, the reality is that while the government and institutions are spending large amounts of money on information infrastructure, the emphasis is on providing access. Little effort is made in training information seekers to use these resources. The result is that most users do not even know of the existence of these resources, and the few who do know about them, do not use them efficiently, simply because they do not know how to. The assumption is that most people know how to use the computer and hence also know to use resources for literature searching. But this is a myth. We are here to bridge this gap, which is why we work not only with students and faculty of the health sciences, but also with libraries/librarians to assist them in expanding their horizon. Q. Why did you decide to become a non-profit organisation as against a profit-making entity? A. QMed Knowledge Foundation was established as a Trust in 2007. As a concept, however, we started out in 1999. Back then, we were QMed Services Private Limited. We were engaged in providing copyright-cleared articles to pharmaceutical companies, and sourced articles from libraries for academic purposes on request from educational institutions. However, we realised that the concept was way ahead of its times. During this period, we realised that students and practitioners were not trained in the art of searching for medical literature. 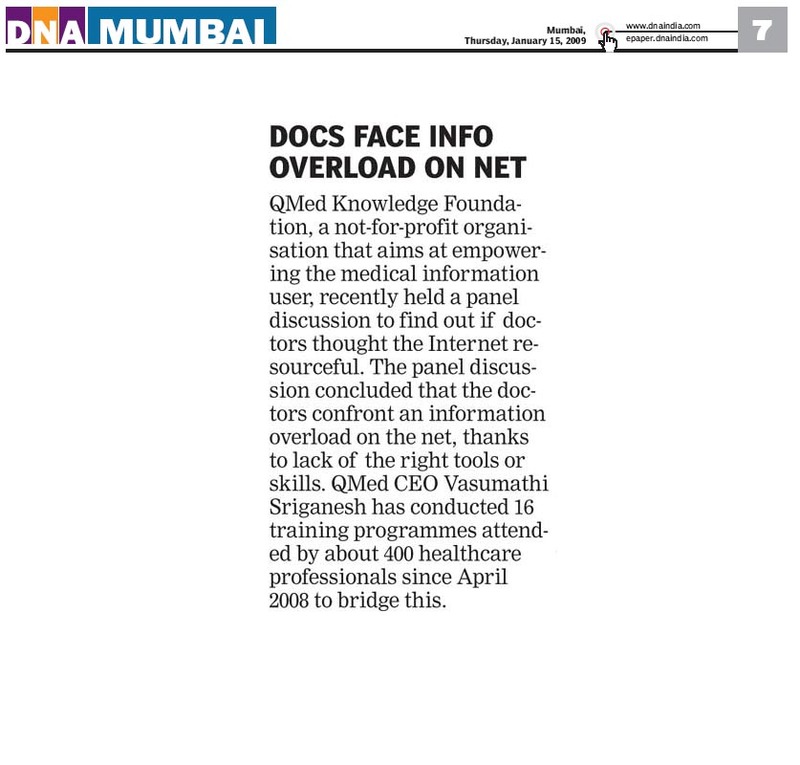 There was a need to guide medical information seekers in locating relevant articles, teach them to use online information resources, and assist libraries to organise their infrastructure for the benefit of users. We decided then, to transform into a non-profit entity and bridge the lacuna in literature searching. We were the pioneers in this field in India. We still provide a full text article service to the Industry (Pharma etc), from QMed Services Private Limited, mainly to generate income to sustain our activities as a Foundation. Q. How is becoming a Friend of the Foundation different from a membership? Why do you ask for a “donation” to become a friend? A. Please see the page – QMed Team. Two of our team members work on a honorary basis for the foundation. Q. Is the Trustee - P. Sriganesh related to the CEO - Vasumathi Sriganesh? A. Yes – P.Sriganesh is the husband of Vasumathi Sriganesh.